Officers & Directors | UDR, Inc.
James D. Klingbeil is Chairman of the Board of Directors and the Chairman and Chief Executive Officer of Klingbeil Multifamily Fund IV, Klingbeil Multifamily Fund V (f/k/a American Apartment Communities III), Klingbeil Multifamily Fund VI, Klingbeil Multifamily Fund VII and Klingbeil Multifamly Fund VIII. He was Chairman and Chief Executive Officer of American Apartment Communities II from 1995 until its merger with the company in December of 1998. He is also Chairman and Chief Executive Officer of Klingbeil Capital Management and The Klingbeil Company. He currently serves as a director of Broad Street Financial and numerous other private companies. He is also the past Chairman and a lifetime member of the Board of Trustees of the Urban Land Institute and Chairman of the ULI Foundation Board. Katherine A. Cattanach, Ph.D. was a General Partner of INVESCO Private Capital, Inc. (formerly Sovereign Financial Services, Inc.), a company specializing in private equity investments, from 1987 to 2005. 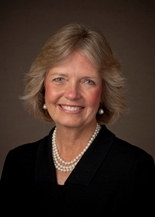 From 2005 to March 2006, she served as a director and member of the audit and compensation committees of Collect America, Ltd. She is currently a member and Chair of the Denver Museum of Nature and Science Foundation Board and a member, former director and President of the Denver Society of Security Analysts. She is active in and serves as a member of numerous charitable organizations. Robert P. Freeman has served as Senior Managing Director and Principal of Greyfields Investors LLC, a real estate private equity company, since 2007, and has also served as President of Landfall Capital LLC, a private real estate merchant bank, since 2001. Previously, Mr. Freeman was a Managing Director of Wells Hill Partners, Ltd., a real estate investment banking firm, from 1999-2001 and a Managing Director of Lazard Frères & Co. LLC, a private investment bank, and President of Lazard Frères Real Estate Investors, L.L.C., a real estate investment company, from 1992 to 1999. Each of the companies mentioned is based in New York, New York. He is active in and serves as a director of numerous private companies and charitable organizations. 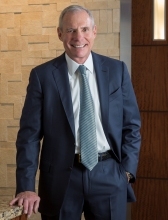 Jon A. Grove was the Chairman, President and Chief Executive Officer of ASR Investments Corporation since its organization in 1987 until our acquisition of ASR in 1998. He currently serves as Chairman and director of American Southwest Holdings, LLC and SecurNet Mortgage Securities LLC, both located in Phoenix, Arizona. Mary Ann King is President of Moran & Company, a national brokerage firm that focuses all of its energies on multifamily assets and mixed-use assets with significant multifamily components. Mary Ann received a BA in Urban Studies in 1975 from Middlebury College in Middlebury, Vermont. She received a Masters Degree in City and Regional Planning with a specialization in Housing Development from Harvard University in Cambridge, Massachusetts in 1977 and a Masters of Management (MBA) with a major in Accounting and Finance from Northwestern University in Evanston, Illinois in 1982. From 1977-1983, she worked in the Real Estate Department of Continental Bank. She was made an officer in 1979, an AVP in 1981 and a VP in 1983. From 1982-1983, she had responsibility for managing a team of lenders involved in underwriting condominium conversion loans nationwide. In 1983, Mary Ann joined Moran & Company in Chicago as its Vice President of Acquisitions and Finance. From 1983-1993, she was responsible for identifying and financing joint venture development opportunities for Moran & Company’s investor clientele. In 1994, in response to demand from Moran & Company’s institutional clientele, Ms. King, became licensed as a broker and sold the first property ever listed by Moran & Company’s newly formed brokerage division. Since that time, Mary Ann has been responsible for some 40% of the $26 billion in apartment transactions handled by her company. Mary Ann was instrumental in managing the underwriting and developing the collateral materials that has given Moran & Company its unsurpassed reputation in the sale of institutional quality apartment properties nationwide. Mary Ann is a member of the Executive Committee for the National Multi Housing Council and was the Chairman of that organization from 2006 – 2008. She has served as part of the leadership team for this trade association since January of 2000. Having served as the Chair of one of ULI’s Multifamily Product Council’s from 2010 to 2012. Mary Ann is a full member of ULI and has served as a ULI Trustee and the Product Council Counselor for all four Multifamily Product Councils. Mary Ann is on the Advisory Board for Sack Properties and a member of the Board of Directors for Over the Rainbow, an Illinois not-for-profit that develops affordable housing solutions for individuals who depend on a wheelchair for mobility. Mary Ann is also a licensed broker in the states of California, Georgia, Massachusetts, Oregon, and Washington. Mr. McDonnough served 38 years for Ernst & Young LLP before retiring in June, 2015. In his role as Office Managing Partner for Dallas, TX, he was responsible for leading all day-to-day practice operations in one of the firm’s largest markets. 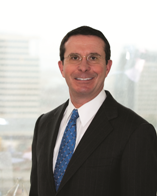 Prior to serving as the Office Managing Partner, Mr. McDonnough was the firm’s Managing Partner of Assurance & Advisory Business Services for the Southwest Area practice. Mr. McDonnough also served as the firm’s National Director of Real Estate Advisory Services, creating a unified national real estate consulting practice and was focused on development and implementation of new services. Mr. McDonnough is the chairman for The Dallas Citizens Council and serves on the Board of the Dallas Education Foundation, Methodist Health System, Dallas Regional Chamber and Education Committee, the Development Board for the University of Texas at Dallas, the Dallas Community College Board and the CEO Advisory Council for the Dallas Arboretum and Botanical Society. Robert A. McNamara has been Group Chief Risk Officer of the Lend Lease Corporation (ASX), an international property and infrastructure firm since August 2014 and is based in New York. Prior to this, Mr. McNamara was Chief Executive Officer Americas of Lend Lease since April 2010. He is responsible for ensuring Lend Lease achieves world’s best practice in risk management and operational excellence. He also oversees Lend Lease’s Building, Engineering and Services businesses in Australia. McNamara has over 35 years of experience managing global businesses in the development, design and delivery of projects in the government, institutional, infrastructure and industrial sectors in senior management positions including, most recently, as chairman and chief executive officer of Penhall/LVI International (PLI), the two largest US firms providing environmental remediation, concrete services and infrastructure repair. 1996-2006, Bob served as senior group president of Fluor Corporation responsible for the global businesses in Industrial and Infrastructure. 1977 to 1996, as president and chief operating officer of Marshall Contractors. McNamara led the firm’s initiatives in community development, pharmaceuticals and microelectronics design and build project delivery. McNamara is on the Board of Jacobs Engineering Group, Inc. and has been a Board member of several privately-held firms. Bob has also served on the Board of the US China Business Council and as chairman for the Construction Industry Institute’s Technology Implementation Task Force. He received a Bachelor Degree in Economics from Brown University, completed the Consortia 1 Program at Thunderbird International Business School and received certification as a Public Board Director from the UCLA Anderson School of Management. Since September of 2010 Mr. Patterson has been the Chief Executive Officer of Boomerang Systems, a manufacturer of fully automated, robotic parking systems. Until January of 2009 Mr. Patterson was a Managing Director and the Head of Real Estate Global Principal Investments at Merrill Lynch, where he oversaw the real estate principal investing activities of Merrill Lynch. Mr. Patterson joined Merrill Lynch in April 2005 as the Global Head of Real Estate Investment Banking and in 2006 also became the Co-Head of Global Commercial Real Estate which encompassed real estate investment banking, principal investing and mortgage debt. Prior to joining Merrill Lynch, Mr. Patterson spent 16 years at Citigroup where he was the Global Head of Real Estate Investment Banking since 1996. Previously, Mr. Patterson was with Chemical Realty Trust in New York from 1987-1989, as an Associate in the Real Estate Investment Banking group and in the Real Estate Group at Arthur Andersen in Houston, Texas from 1982-1985. During his career, Mr. Patterson has been involved in a wide range of advisory assignments, initial public offerings and financings that have spanned virtually all property types. Many of these transactions are notable because they were some of the largest of their type or represented new financing trends in global real estate finance. Although U.S. based, he has had extensive global experience overseeing both Merrill Lynch’s and Citigroup’s real estate activities worldwide. He continues to advise real estate companies on similar matters today and is on the Board of Directors of General Growth Properties and Boomerang Systems. Mr. Patterson has a Bachelor’s degree from the College of William and Mary and a Master’s degree from the Darden School of Business and is a Certified Public Accountant. Lynne B. Sagalyn, Ph.D. is Vice Chair of the Board of Directors and has been a professor emerita of the Paul Milstein Center for Real Estate at the Columbia Business School since May 2016. From July 2008 to May 2016, she was the Earle W. Kazis and Benjamin Schore Professor of Real Estate and Director of the Paul Milstein Center for Real Estate at the Columbia Business School, positions she also held from 1992 through 2003. From January 2004 to July 2008 she was a Professor of Real Estate Development and Planning at the University of Pennsylvania, with appointments in both the School of Design (City Planning) and the Wharton School (Real Estate). From 1991 to 1992, she was a visiting professor at Columbia University. From 1987 to 1991, she was an associate professor of Planning and Real Estate Development at Massachusetts Institute of Technology. She is also a director and Chair of the Audit Committee of Capital Trust, Inc., a public real estate investment trust that specializes in real estate lending and a member of the Advisory Board of Goldman Family Enterprises. She also serves on the Board of Directors of the Regional Plan Association of New York, an independent not-for-profit regional planning organization. In addition, she has also served on the New York City Board of Education Chancellor’s Commission on the Capital Plan. Thomas W. Toomey is Chief Executive Officer, President and a Director of UDR, Inc., a $16 billion S&P 500 company; having served in these capacities since joining the Company sixteen years ago. Over his tenure, Mr. Toomey has been instrumental in repositioning the Company’s portfolio, including the acquisition and disposition of over $16 billion in multifamily communities and development of $3 billion in multifamily communities, which has led to an above average annual return of 14% for the Company’s shareholders. As of June 2017, UDR owned or had an ownership interest in 50,338 apartment homes in select markets across the U.S. Prior to heading UDR, Mr. Toomey held various senior positions, including Chief Operating Officer and Chief Financial Officer, with AIMCO, a multifamily REIT peer. At AIMCO, Mr. Toomey was instrumental in transforming the company into the largest apartment owner in the U.S.; growing its portfolio ten-fold over his tenure. Prior to AIMCO, Mr. Toomey served as a Senior Vice President with Lincoln Property Company, a multifaceted, national real estate firm, for five years. As a leader in the real estate industry, Mr. Toomey is Global Chairman, a Trustee, Governor and Board member of the Urban Land Institute (ULI), a member of the Board of Governors of the National Association of Real Estate Investment Trusts (NAREIT), is on the Executive Committee of the National Multi Housing Council (NMHC), is a member of The Real Estate Roundtable, and is Chairman and a Trustee of the Oregon State University Foundation. Warren L. Troupe joined the company in March 2008 as Senior Executive Vice President. He was appointed the company’s Corporate Compliance Officer in May 2008 and the Corporate Secretary in October 2008. Mr. Troupe oversees all financial, treasury, risk and legal functions of the company. 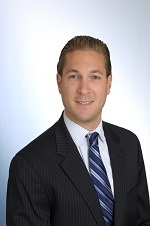 Prior to joining the company, Mr. Troupe was a partner with Morrison & Forester LLP from 1997 to 2008, where his practice focused on all aspects of corporate finance, from public and private equity offerings, traditional loan structures, debt placements to subordinated debt financings, workouts, and recapitalizations. He has concluded a large number of mergers and acquisitions for both public and private companies including tender offers, hostile proxy contests and negotiated acquisitions. Mr. Troupe holds a Bachelor of Arts degree from Colorado State University and his J.D. from the University of Denver. Mr. Troupe is a member of the Executive Committee of National Multi Housing Council, a member of Urban Land Institute, on the Multi-Family Blue Council of Urban Land Institute, a member of National Association of Real Estate Investment Trusts, Colorado Bar Association and American Bar Association. 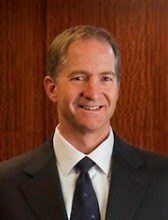 Harry G. Alcock joined UDR in December 2010 as Senior Vice President. Mr. Alcock oversees the Company’s portfolio strategy and investment functions including acquisitions, dispositions, development and asset management. Prior to joining the company, Mr. Alcock was with Apartment Investment and Management Company (AIMCO) for over 16 years. When he joined AIMCO in 1994 at the time of its IPO, the company owned 37 properties at $300M in total real estate value. Mr. Alcock was responsible for transaction activity and helped to grow the company into the largest multifamily owner and manager of over 2,000 properties in excess of $15B in total real estate value. He was appointed Executive Vice President and Chief Investment officer in 1999. Mr. Alcock established and chaired the company’s Investment Committee, established the portfolio management function and at various times ran the property debt and redevelopment departments. Prior to the formation of AIMCO, from 1992 to 1994, Mr. Alcock was with Heron Financial and PDI, predecessor companies to AIMCO. From 1988 to 1992 he worked for Larwin Company, a national homebuilder. Mr. Alcock began his career with Ford Aerospace in 1987. Jerry A. Davis originally joined the company in March 1989 as Controller and subsequently moved into the Operations arena as an Area Director. In 2001, Mr. Davis accepted the position of Chief Operating Officer of JH Management Co., a California-based apartment company. He returned to UDR in August 2002 and was promoted to Vice President, Area Director in September 2004, where he oversaw operations in California, Washington, Oregon and Arizona. In November 2007 he was promoted to Senior Vice President – Property Operations, responsible for company-wide property operations. In February 2013 he was promoted to Chief Operating Officer. Prior to joining the company, Mr. Davis was with Crestar Bank as a Financial Analyst from 1986 to 1989. 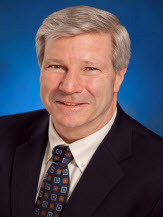 He began his career in 1984 as a Staff Accountant for Arthur Young & Co.
Mr. Davis holds a Bachelor of Science degree in Accounting from The College of William & Mary. Mr. Davis is on the Board of Directors of the National Apartment Association and sits on the Executive Council of the National Multifamily Housing Council. Mr. Fisher brings an extensive background in public and private real estate. Prior to joining UDR in 2017, he was a member of the Deutsche Asset Management real estate securities team since 2007 serving as Co-Head of the Americas and Co-Lead Portfolio Manager. Prior to that he was in real estate private equity within Deutsche Asset Management as an Associate in the Structured Debt Investments Group from April 2005 to June 2007, and as a Portfolio Analyst in the Portfolio Management Group from May 2004 to June 2006. From June 2003 to May 2004 he was an Asset Management Analyst at Principal Real Estate Investors. Mr. Fisher has the Chartered Financial Analyst designation and has an MBA from Northwestern University, Kellogg School of Management and a Bachelor of Business Administration from the University of Iowa.